Have you ever wanted to be as strong as the Hulk? Be able to flip a grown man back and forth over your head? Super strength seems to be one of the most desired super powers. But, what if you didn’t have to be bitten by a radio active spider, or exposed to deadly amounts of gamma rays? What if all you had to be was a caveman? 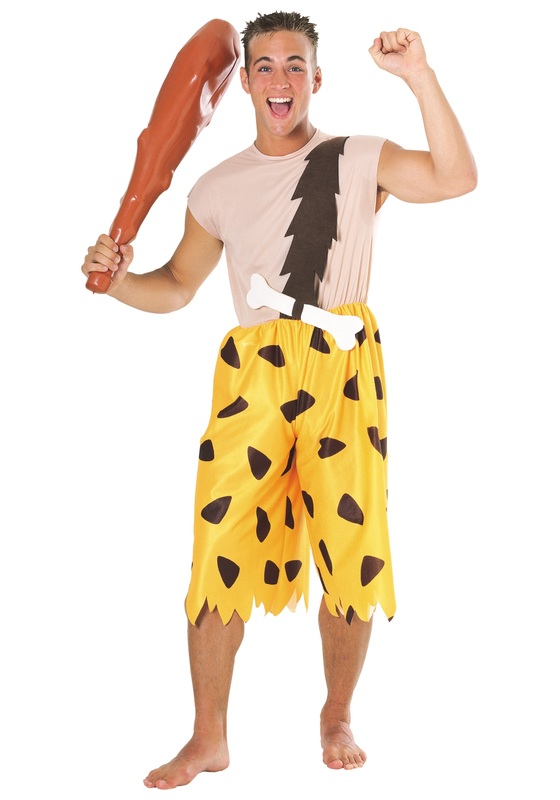 That's where Bamm-Bamm Rubble comes in. Even as a toddler he is freakishly strong. He lifts his adoptive dad over his head, and slams him down on the ground repeatedly. (A lot like what the Hulk does to Loki in the Avengers.) He has the natural strength of a person who grows up in the stone age. This Halloween when your friends are all trying to be the strongest super hero at the costume party, you can show up wearing this Bamm-Bamm Adult Costume. Because, as a toddler Bamm-Bamm had the same amount of strength as the massive Hulk. He didn't have to get bitten by anything, or exposed to anything to get his incredible physical prowess. And, he might be a toddler but he still gets the girl. Pebbles Flintstone. You can leave your friends with this parting shot: "How do you like them rocks?"